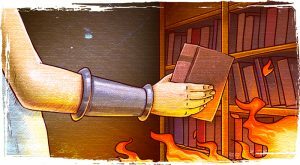 Millennia of knowledge are at risk in the Great Library of Alexandria! Fortunately numerous eager backers of Alexandria on Kickstarter are helping LudiCreations save as many items as possible before all that remains is ashes. Created to store the world’s knowledge, the library’s scribes would copy every book found on every ship that entered Alexandria, and would go on to accumulate untold volumes of history, mathematics, geography, politics and more. Unfortunately, it was not to last. The library was destroyed during the many conquests of Alexandria, and all that knowledge was lost forever. 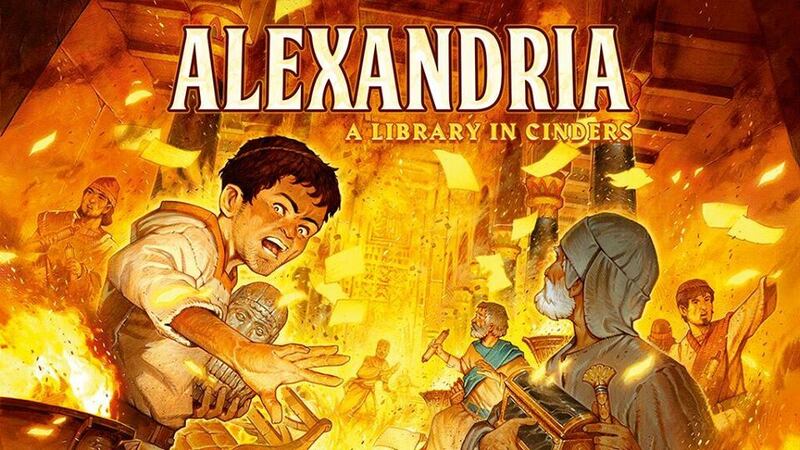 We may never really know what happened, but in the game of Alexandria you now have the chance to retell the story of the burning of the Great Library! 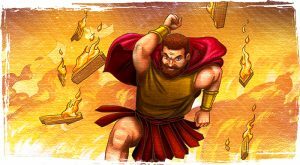 Alexandria is a game for 2 to 4 players and contains over 300 components, as well as 138 unique illustrations by Vincent Dutrait and Asterman Studio. This asymmetrical game has a shrinking gameplay area; as the theme would suggest, parts of the library are consumed by fire as the Heroes are trying to save the treasures within it. 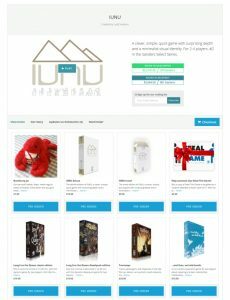 Did you miss the IUNU campaign? Pre-orders through Backerkit are now open! One of our successful Kickstarter campaigns this year was IUNU, a quick game with surprising depth. In this minimalist game you build your society, feed your people, and please the gods as the dynasties of Ancient Egypt rise and fall. If you missed the campaign, not to worry, because you can still get your copy through Backerkit!